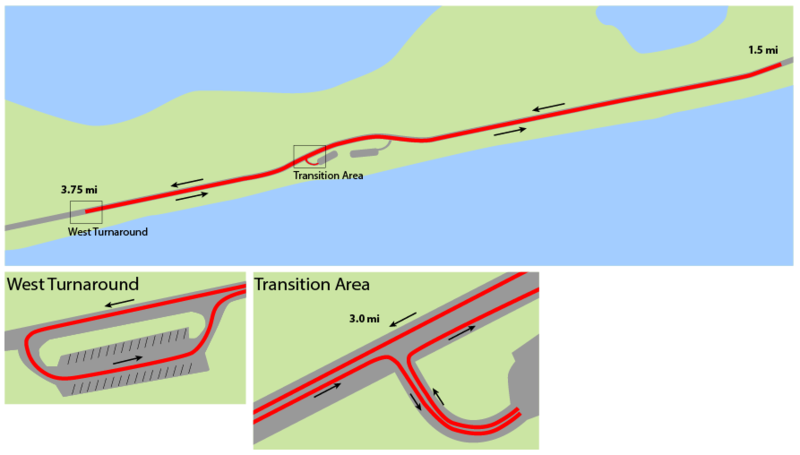 The bike portion of the event will leave the transition area and then head east along the closed road course. For the Leatherbacks (13-15) the ride will be 4.5 miles. The athletes will head east on access road and turn back at 1.5 miles turn around heading west passing the transition lot and go .75 miles west before turning around and heading back to transition.